Home Tech App & Product Reviews Online Photo Editor FotoJet to Make Editing Photo Easy. Online Photo Editor FotoJet to Make Editing Photo Easy. All-in-one Graphic Tool FotoJet Make Edit Photo and Graphic Design Exciting and Easy. Do you have trips with your families and friends sometimes? Do you shoot a lot of photos when you travel? Are you able to take photos all in a perfect way? Yes, I know modern people are always traveling with friends and families when they are on all kinds of holidays and take photos is something that cannot miss for it can help us to remember the beautiful and important moment. But not all the photos taken by us can be perfect, so find a way to help us make up for these shortages is necessary. All of them can be finished via simple click and drag, so you have no need to wrong about that you do not hear FotoJet before. Just have a try, you will love it! You can change the size, angle, exposure, and color of your photos by the editor. 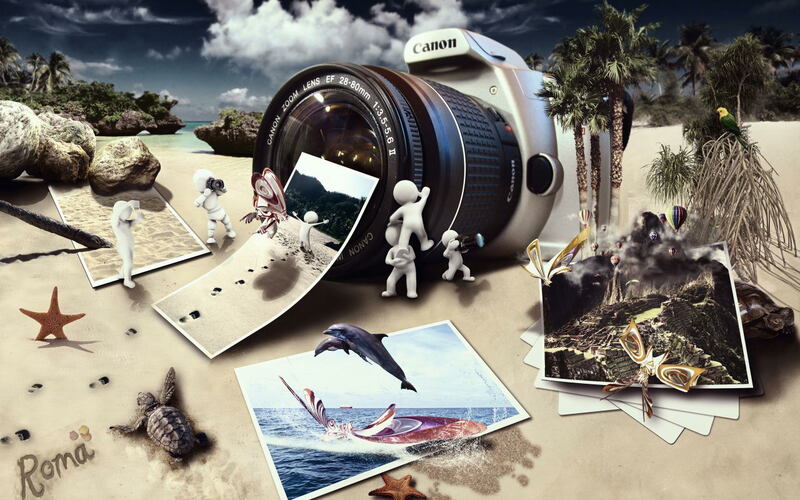 The basic options and advanced options can let you turn your imperfect photos into wonderful and amazing artworks. What’s more, you can add all kinds of effects, overlays, and frames to modify your photos. The effects, overlays, and frames provide you plenty of choices you can have a quick preview before you make a decision. Under design mode, you can make Facebook Cover, YouTube Channel Art banner, Poster, Flyer and so on. You can save or share your creations immediately after you made some very slight adjustments because all the premade templates are beautiful pictures, suitable text, clipart and other elements. If you just want to make a quick one, just choose the template you like and save to use. Also, if you want to use your own image and add your own elements just upload your pictures and search elements to use. Both classic collage and creative collage you can make with FotoJet. You can definitely finish one by three step: choose a template, upload photos and add text, clipart, change the background if you need, and the save, print or share your collage. You can also make Misc, such as fun photo, magazine. What’s more, you are allowed to create many kinds of photo cards for a different holiday, like Valentine’s Day, Father’s Day, mother’s Day, Thanksgiving Day and so on. You can be here to customize your own unique cards to send to your friends and relations. FotoJet can help you make text and clipart into watermark by adjusting their opacity, also you can add outline and glow to your text to make it more suitable to your program. If you are desire to create your own artwork, just come and try, FotoJet won’t make you disappointed. So do not hesitate and get started now.